where we can super impose your photo into any kind of backdrop! We had fun working with Naomi, Jeff and Wendy from Mountainscape Productions. 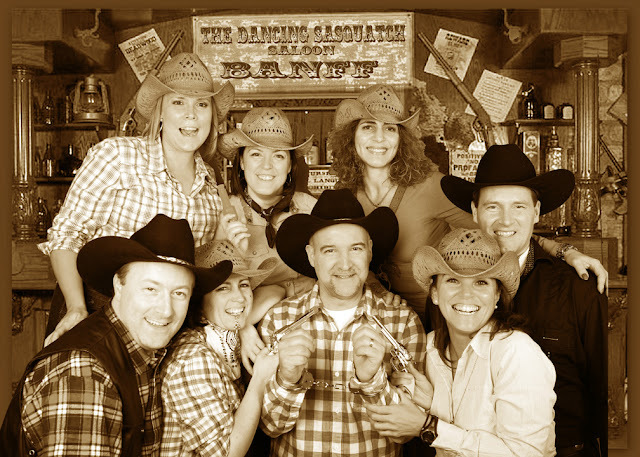 The theme this time was Western and we placed the photos into the "Dancing Sasquatch Saloon"
so the clients could take their images home﻿ within minutes.